Scott Ondik has returned to Shen Milsom & Wilke, and will work out of the firm’s Denver, CO office. Ondik previously worked for seven years at SM&W before spending two years at Swanson Rink, where he gained IT infrastructure experience. 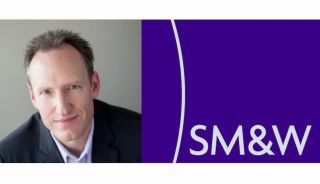 This, coupled with his extensive security design background, makes him a valuable member of SM&W’s integrated technology practice. Ondik has worked in diverse sectors including corporate, commercial, hospitality, retail mall, healthcare, municipal, law enforcement, judicial, detention, data center, aviation, TSA, theater, K-12, and higher education. His extensive security systems knowledge includes access control, intrusion and duress alarm, emergency call, video monitoring, digital IP video, intercom, perimeter protection, vehicle control, RFID asset protection, converged network, and integrated systems. Ondik is a board-certified protection professional (CPP), a registered PE in Colorado, and an active member of ASIS International. He received his bachelor of science in mechanical engineering from Colorado State University. His hobbies include mountain recreation, camping, hiking, fishing, live music, sporting events, auto sports, classic car shows, and sports cars.